Ditching the xenomorph wasn’t such a bad idea. “The beast is done. Cooked,” Alien and Prometheus director Ridley Scott told Yahoo Movies in 2014. Though set in the Alien universe, Prometheus kept the series’ spindly aliens at arms-length, preferring instead to develop the odd panspermia mythology behind the Engineers who created the alien xenomorphs. It didn’t work. And in a new Yahoo interview, Scott admits as much, though his diagnosis of Prometheus’ failings is an odd one. No one can say Scott didn’t follow through — Alien: Covenant is bursting with xenomorphs. But the early review consensus on Metacritic and Rotten Tomatoes is near-identical to Prometheus. Todd McCarthy at The Hollywood Reporter called it “a franchise renewed,” but other reviews were far more mixed. Maybe the missing xenomorphs weren’t the problem in the first place? But the problem was never that Prometheus didn’t have xenomorphs, but that it never found a worthy replacement for them. Aesthetically, the Engineers are maybe the most boring alien design since the Bajorans. The Engineers are first seen in the original Alien, with a dead “Space Jockey” aboard the crashed spaceship on LV-426. That first Engineer, before they had a name, looked rad as hell, with an elephantine proboscis and immense ribs. But in Prometheus they’re just giant, pale babies, the awesome snout faces revealed to be nothing more than helmets. “I got lucky meeting Giger all those years ago. It’s very hard to repeat that,” Scott said. And yeah, there’s no topping H.R. Giger for sexually discomfiting, spiny genital monsters. But while Prometheus may have never stood a chance of creating aliens as iconic as the xenomorph, Prometheus reads as if no one even tried, instead throwing up their hands and going with the giant diaper-men. It also doesn’t help that their nature is nearly inscrutable. After seeding Earth with human life (their DNA matches ours, despite obvious differences in phenotypes), the Engineers built all sorts of nasty creatures out of their generative goo and intended to use their biological weapons to wipe out life on Earth. Their motivation for doing this is never clear (in early drafts of the script it was because we killed Jesus), which leaves Prometheus feeling curiously hollow at the center. Without a comprehensible plot or a clear motivation for the antagonist aliens, Prometheus pretended to be profound instead, tossing in Christian imagery and unfocused ideas about meddling with nature and our gods’ indifference. 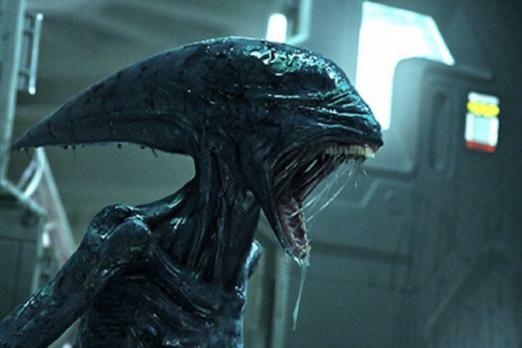 The problem with Prometheus was never the missing xenomorphs, but the absence of a compelling narrative. Still, though Scott misdiagnosed what went wrong with Prometheus , his may have worked anyway, with most reviews enjoying the xenomorphs return in Alien: Covenant. We look forward to seeing for ourselves.